Sometimes you just read something that you know is wrong. Not just wrong, but Wrong, Wrong, Real Wrong. Well, that happened to me just the other day. 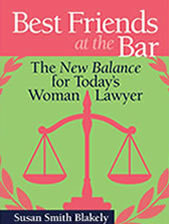 I was reading the Above The Law blog, and I came upon an article captioned “Why Today’s Seasoned Lawyers Shouldn’t Mentor Newbies.” Because I have written so much on mentoring, including in my new book to be released this summer, the article immediately interested me. 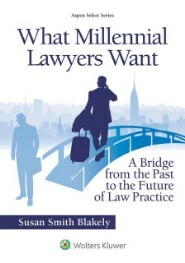 In that new book, What Millennial Lawyers Want (Wolters Kluwer/Aspen Publishers), I argue that young lawyers want more — not less — attention from senior lawyers. I argue that it is the isolation and lack of community on the job that plagues young lawyers the most and that it can so easily be remedied by senior lawyers showing interest in the practices and lives of the young professionals around them. So, what possibly could lie behind the proposition that seasoned lawyers shouldn’t mentor “newbie lawyers”? Where else are newly-minted lawyers going to get information on proper courtroom decorum, how to conduct themselves at the settlement table, what is acceptable and unacceptable behavior in a deposition, when it is OK to call the judge’s chambers, what is appropriate interaction with clients, how the law firm makes profits, what are the most effective ways of generating new clients …. and the list goes on and on and on? Those things are rarely taught with any degree of effectiveness in law school — and typically only to those students, who are brave enough to take a trial practice clinic. For most students it is just too risky and humiliating to have a judge scream at you in the courtroom when your trial practice advisor is watching and you have eight credits on the line. It is much easier to concentrate on memorization and writing a killer exam in a traditional classroom course. Even law firm summer associates have little time or opportunity to learn much about the actual practice of law because time in those positions is fleeting and the law firms are far too busy wooing the law students to come over to their side. Acceptable behavior during a deposition is frowned on as good conversation at pool parties and concerts. And mid-level associates are too busy billing hours and proving themselves worthy of selection to partnership to have any time to impart knowledge to “newbie” lawyers. Add to that the problem that a lot of mid-level associates also do not have the necessary level of knowledge to impart. So, by my calculation, that leaves seasoned lawyers as the desirable mentors. It seems so obvious. 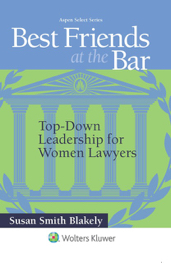 The flimsy support for the proposition of the Above The Law article is that seasoned lawyers are so out of touch that they still are recommending that young lawyers get involved with bar associations for networking opportunities and that seasoned lawyers cannot possibly relate to a world where women’s issues and work-life attitudes have evolved and where commoditized work has an appeal. Really. Even if some seasoned lawyers prove to be a little out of touch on a few of these issues, the premise of the article is much too broad. Seasoned lawyers have a wealth of knowledge on substantive, procedural and business issues, and there is no reason to stridently throw the baby out with the bathwater by dismissing them as unfit mentors. In fact, most young lawyers should be so lucky as to have seasoned lawyers take interest in them and their careers. The Above The Law article goes too far. You can skip it! Maybe Above The Law should have skipped it, too. Recently I attended the Georgetown Women’s Forum, which expanded the Georgetown Law Women’s Forum to Georgetown University graduates in celebration of the 25th year of the Forum. As in years past, the program was inspiring. Having attended the Forum for many years and also participated as a panelist, I take great pride in the quality of the programs. From the welcome by Savannah Guthrie, a Georgetown Law graduate, to the keynote address by Sally Yates, who briefly joined the Georgetown Law faculty after departing the Justice Department last year, to the final moments of dedication to careers, the program was filled with helpful and hopeful messages for women in law and business. Now get busy! See how much of that advice you can incorporate into your professional life and your career plan. And, if you are a Georgetown University or Georgetown Law graduate, be sure to sign up for next year’s program. Are Young Women Lawyers Still Enamored with Law Firm Jobs? There was a time when most young lawyers — male and female alike — found law firm jobs desirable. The pay was good, the hours were manageable, and the upward mobility and financial rewards were inviting. But, is that still true today? According to today’s article on the Institute for the Advancement of the American Legal System (IAALS) online Issues Blog, it may no longer be true for young women lawyers. Based on statistics from the Colorado Supreme Court’s Attorney Regulation Counsel, the article identifies a “trend” away from law firm jobs for young women law graduates in that state. Those statistics showed that less than half of the active women attorneys under the age of 30 in Colorado are working in law firms of any size and only 20 percent of women attorneys younger than 30 years old joined big law firms. These are interesting findings whether you live and practice in the state of Colorado or not. At a time when at least half of most of the graduating classes in law schools across the country are women, you would expect to see equal percentages of male and female law graduates joining law firms. And that still may be the case in states like New York and California and the District of Columbia, all jurisdictions with multiple top-rated law schools, but it clearly is not the case in Colorado. So why is that? Some of the reasons for this identified trend away from law firms by women lawyers is predictable. More and more young lawyers today are focused on having lives outside of work, and that certainly is true of those women lawyers, who desire to have children and anticipate childcare responsibilities. Even with the advent of more generous maternity and family leave policies and more flexible telecommuting programs, the expectation of billing 2000 plus hours a year and having family and childcare responsibilities is daunting. But that does not completely explain this trend. Other explanations offered in the article are less predictable but also worthy of consideration, starting with the effects of the Great Recession. After 2008, many law firms found it necessary to cut back expenses due to the economic downturn, which resulted in reductions in hiring. As a result, many law school graduates between approximately 2008 and 2015 looked beyond law firms for employment opportunities. They left law firms that were cutting back on hiring or they failed to apply to law firms at all. In doing so, both male and female law graduates were forced to look at non-traditional positions where they have remained even after the economy picked up and law firms rebounded. Another and more troublesome explanation has its genesis in law schools. 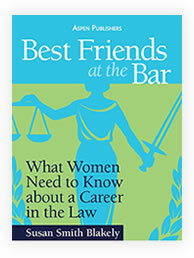 The article cites a 2016 study showing that women law school applicants are less likely to be accepted by schools that pride themselves in placing graduates in “good law firm jobs.” If this is the case, then women law school applicants are more likely to find themselves in law schools that do not emphasize law firm jobs for graduates — because law firms are not as interested in the graduates of those schools. The important takeaway from the 2016 study is that women who apply to law school are less likely to be admitted to schools with high law firm placement rates. If this is true, there is a lot for both law schools and law firms to be thinking about. If the inequitable treatment of women lawyers reaches all the way back to law school admission policies, the American Bar Association and the Association of American Law Schools both should be forming committees to explore these findings. Pronto. And we should hope that there is another less sinister explanation for this result.